It's been almost a year now since I had my first trip to SagA*, and the urge to get back out there on a new exploring adventure is back. 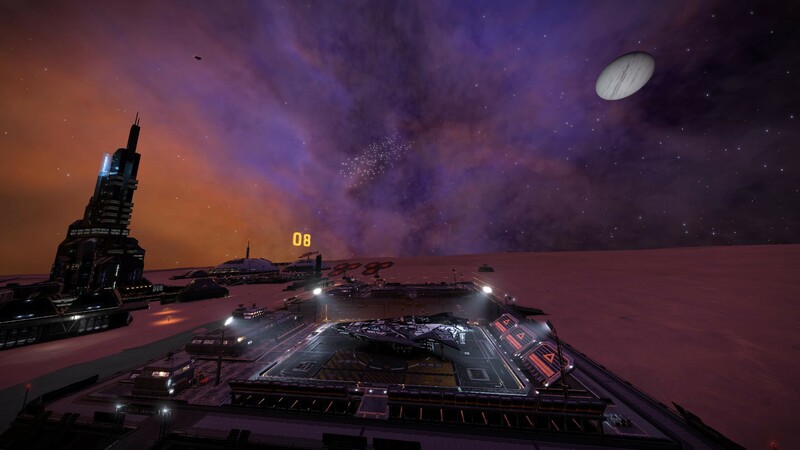 My goal on this voyage is to visit Jacques station in the Colonia system, 22000 LY away from home, and after that I will see where it goes from there. 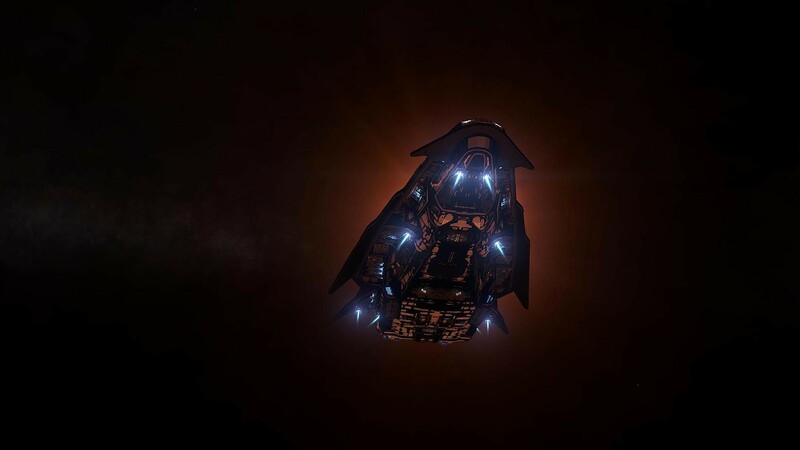 The trip started 18.april 3303 from Jameson Memorial station in Shinrarta Dezhra system, flying my specced up Anaconda "Roald Amundsen". 18.04.17. 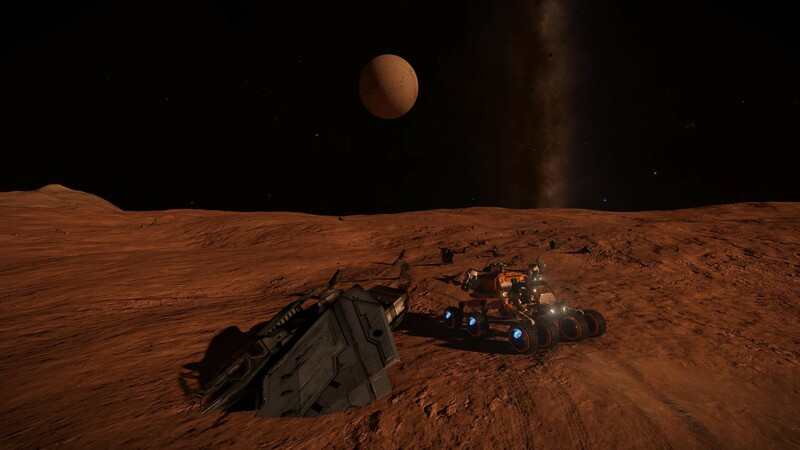 First day is done and landed on a planet in IC 1287 Sector CW-V b2-4. 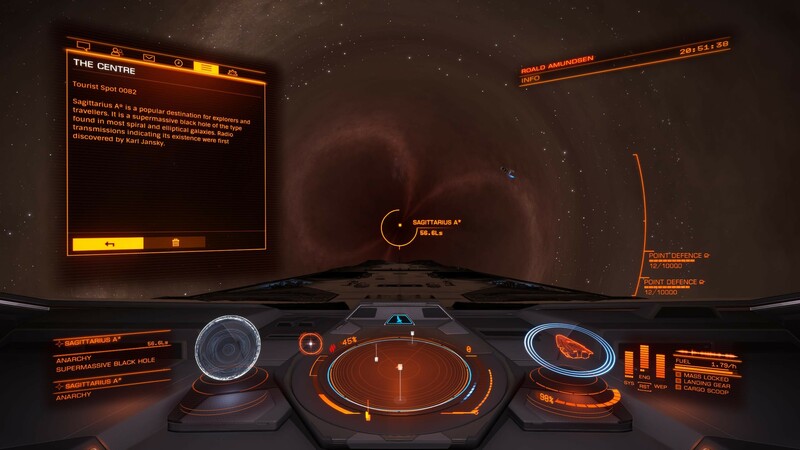 Flight distance was 971LY's. 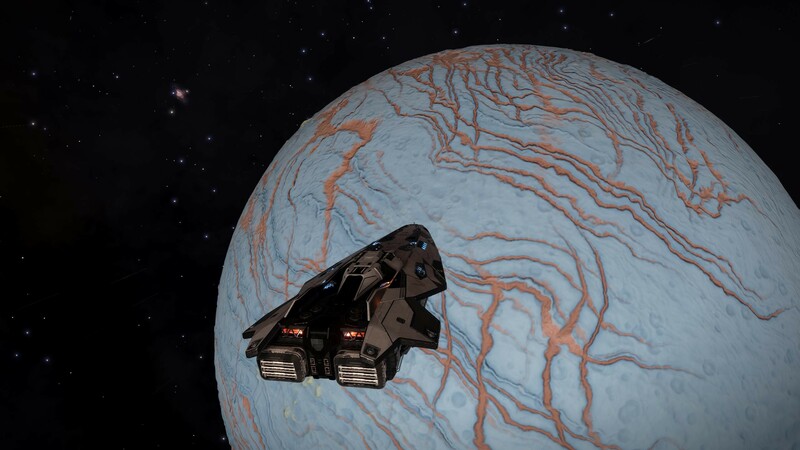 Found my first neutron star on this trip, and some water worlds. Landed on A2 in Bleae Thua ZJ-I C9-39 system after traveling 1100LY's. Found a crashed fighter and a wrecked Scarab with some canisters. 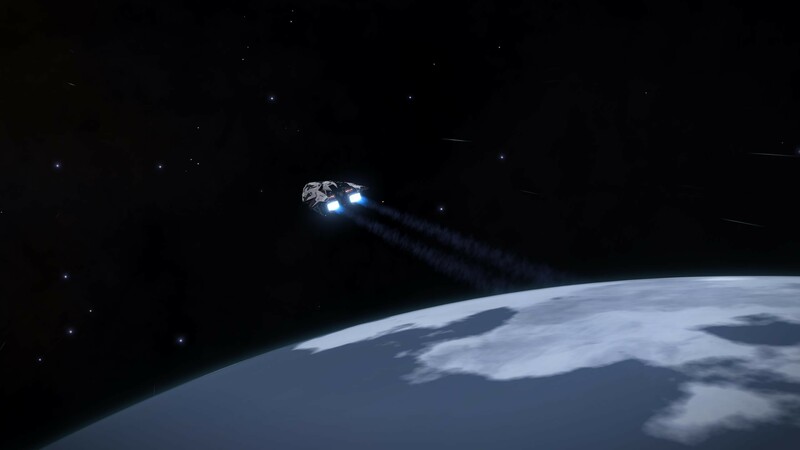 Getting closer to Colonia now and after figuring out a safe way to do FSD boosting from the neutron stars I managed to travel 3800LY today, so now I'm about 8300LY's from home and soon half the way to my destination. I had almost forgot how incredibly beautiful the view is out here! 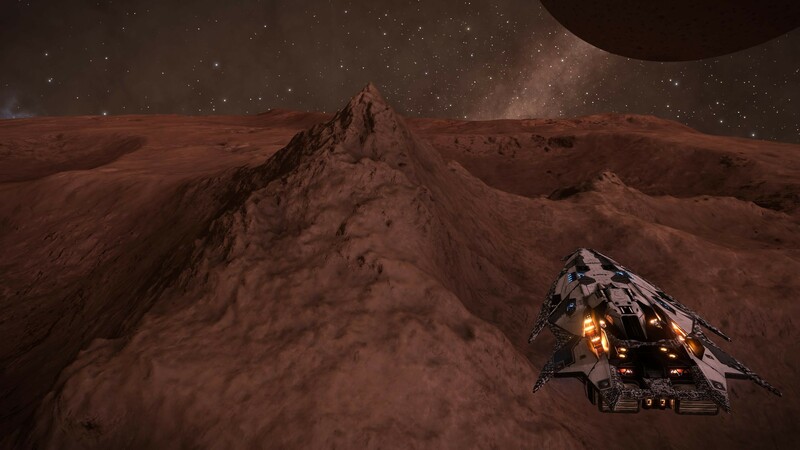 Landed on a planet full of deep and exciting canyons which I am going to discover a bit more before leaving tomorrow. 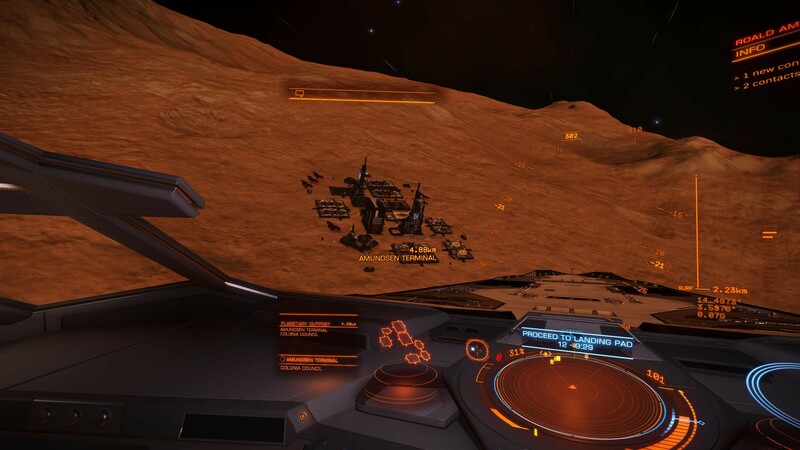 Today I located and landed at one of the Alien ruins sites in SKAUDAI AM-B D14-138 (site #68/69 in the Nusantara base), 11800LYs from Sol. It was kind of a "been there, done that" thing since I didn't have the ancient ruins mission assigned from Ram-Tah. 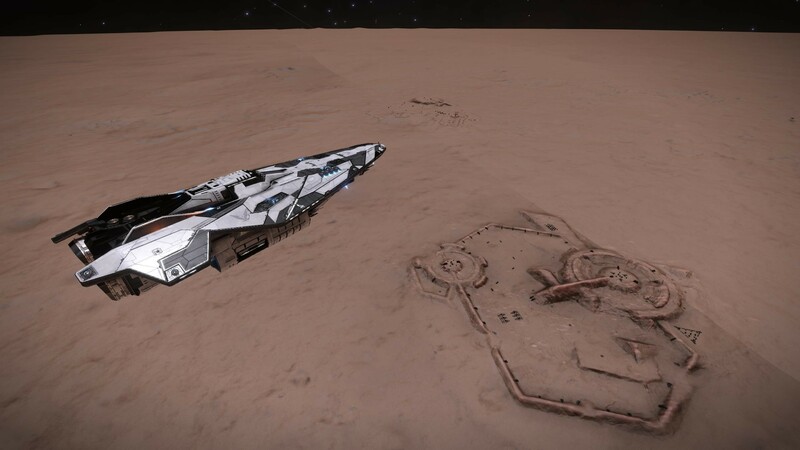 Anyway it was nice to see an Ancient ruin this far out from the bubble. The site is located in the beautiful nebula Skaudai AA-A H71. 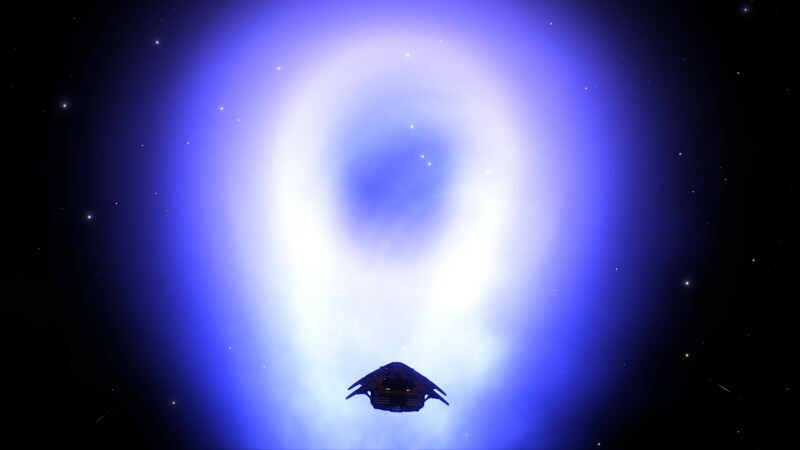 Discovered a new black hole and took some time to play around with the external camera. 20300 LYs away from home and getting close to Colonia which is my main destination . And what an awesome trip so far! 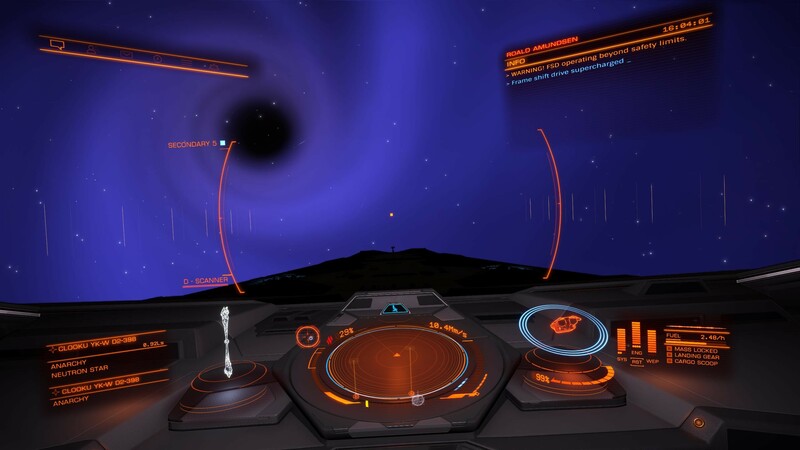 Neutron stars and black holes are continuously appearing, and I have also got "my name" on a few NS discoveries myself. 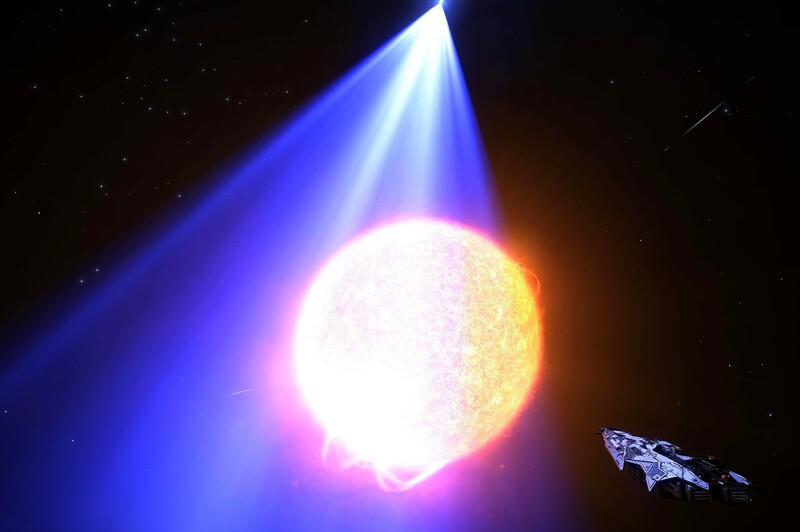 By FSD boosting from the neutron stars I can max out on 125LY jumprange and can almost jump from NS to NS. So out here it's no problem doing 4-5000LY's in one day. I have discovered 429 new systems since I left home, and from here almost every jump is a new discovery. Last jump today and spending the night on the ground to collect some more materials for refilling my AMFU's. 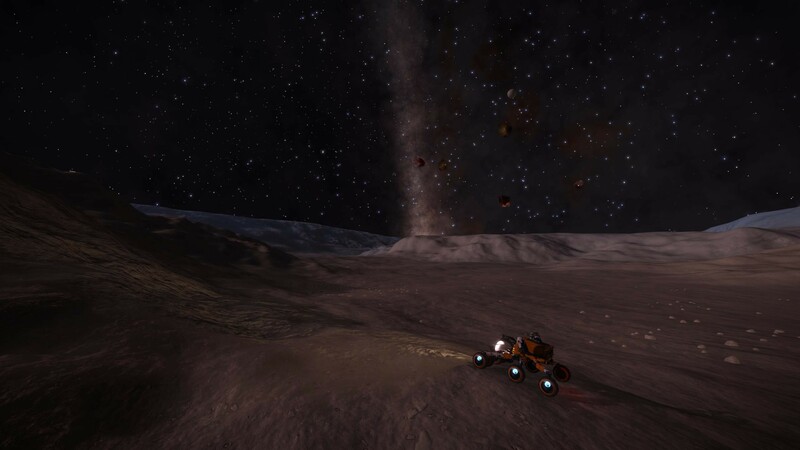 And I never get tired of just driving around in the SRV exploring my newly undiscovered planet as you never know what you're going to find behind the next ridge. And the views are usually stunning too, which makes it even better! 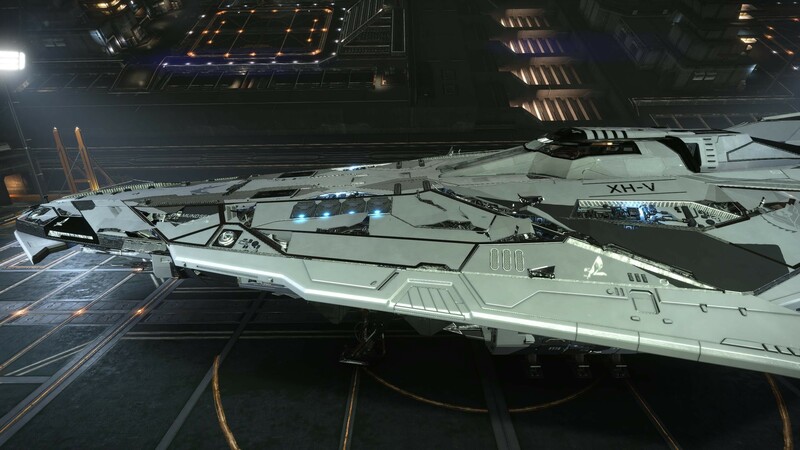 Arrived and docked at "Jaques Station" in Colonia today after traveling 22 000LYs from the Bubble. Selling 54 million credits in cartographic data I was fast becoming an ally of the system. 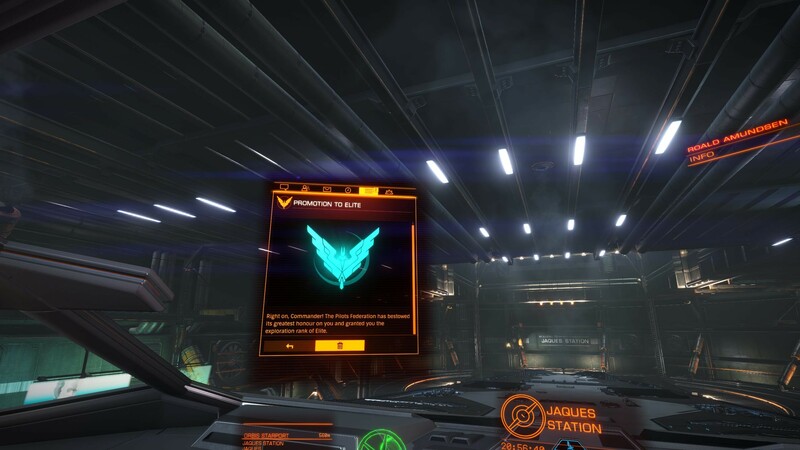 Another milestone in my Elite career is that I also earned my ELITE EXPLORER RANK today!! 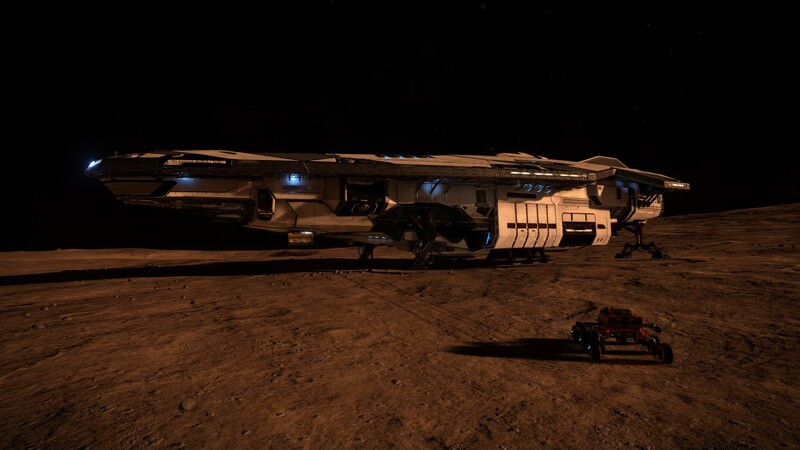 I've stayed here in Colonia for a few days spending some time on the "Colonia Hub" surface station doing some SRV exploring. Also went to a few visitor beacons that had some nice views of Jacques Station. 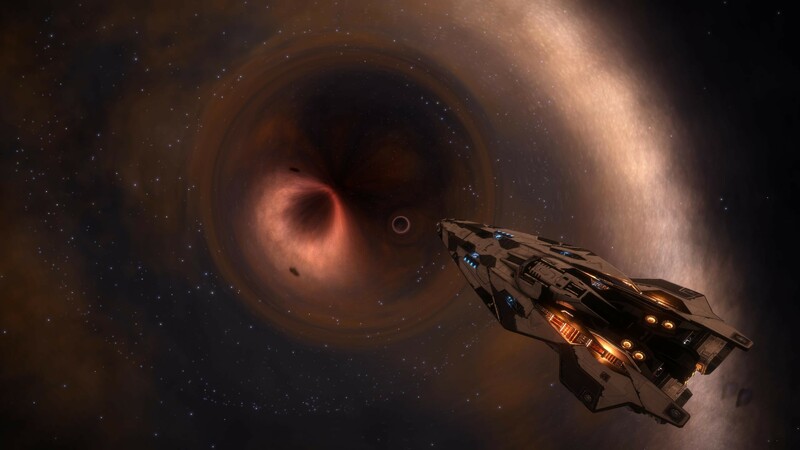 It's time to move on, but as an explorer I would never choose neither the shortest or the quickest return route back to the bubble, so I have decided to head on deeper into the void and make my second visit to SagA*. 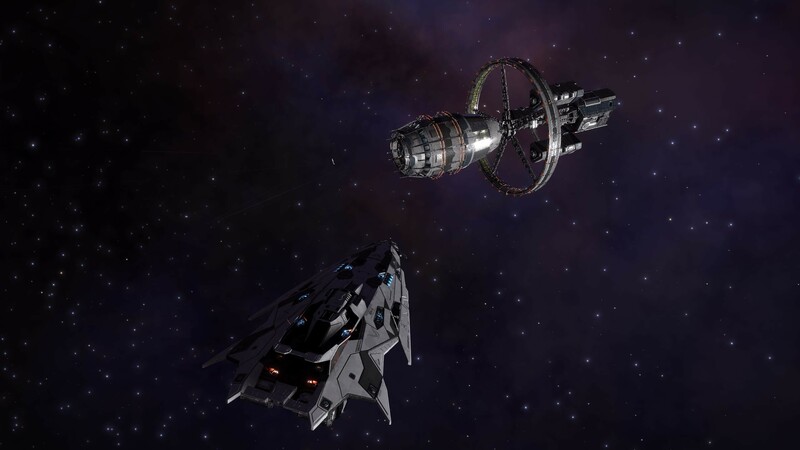 So this will probably be my last contact with any form of civilization for a long time, though there is always a chance of bumping into other (hopefully friendly) commanders out here. So far this has been an awesome trip and I am enjoying every minute of it. 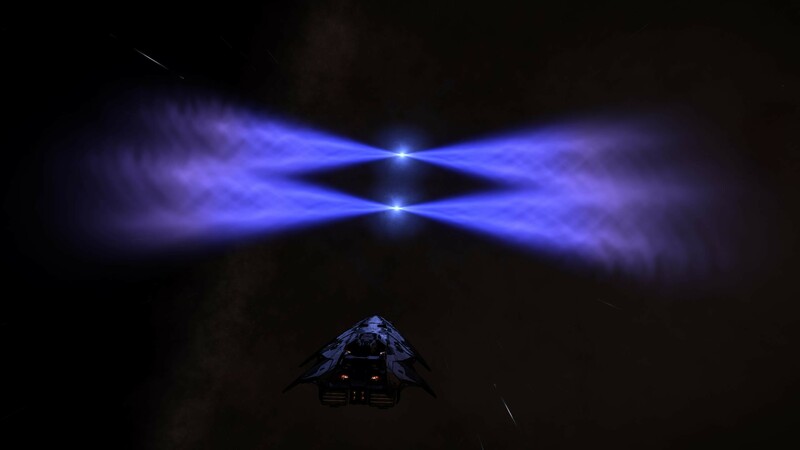 I have even discovered my own two black holes for the first time in Elite on my way! 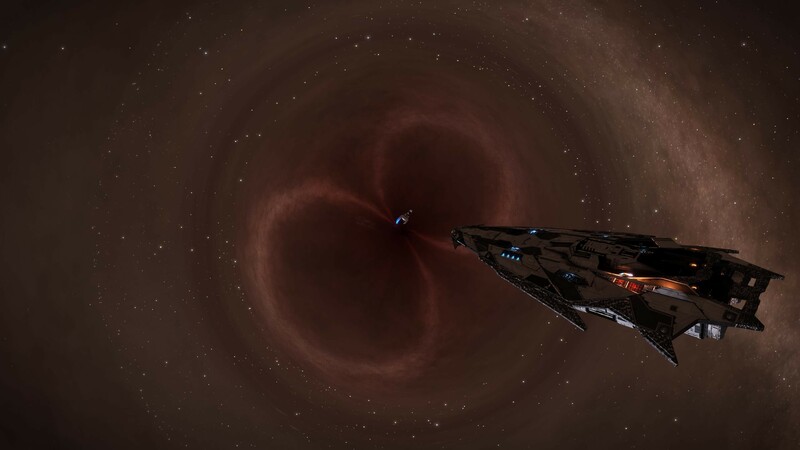 After traveling about 2000LYs away from Colonia on my way to the core, I have already found 5 NEW black holes and 4 neutron stars which will have my name on it! 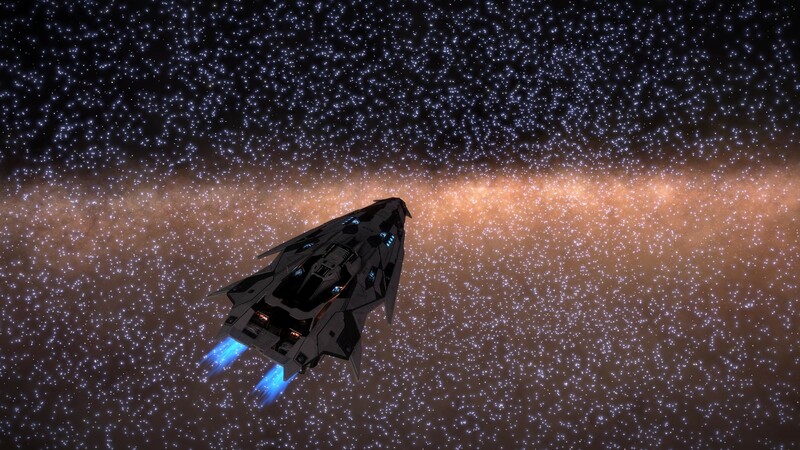 About 6000Ly's further away from Colonia I bumped into a giant neutron field. There are endless numbers of NS and Black holes. I've stopped counting new discoveries now because almost every NS I find is a new one. 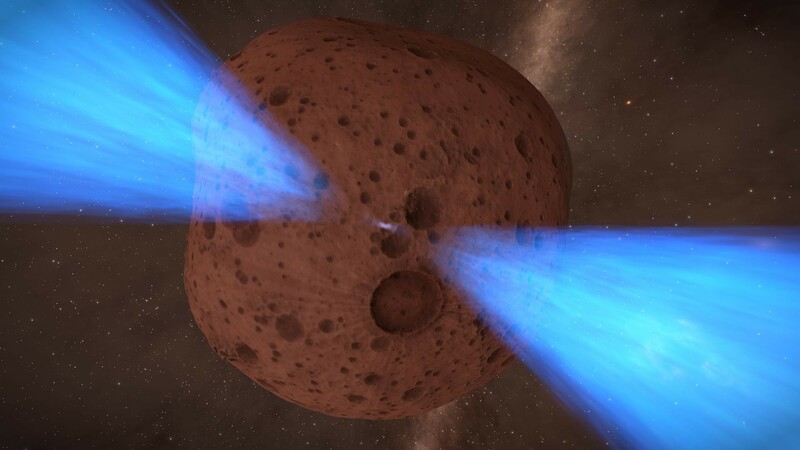 This area is so dense with neutrons that I think I can "FSD boost" all the way to SagA from here. 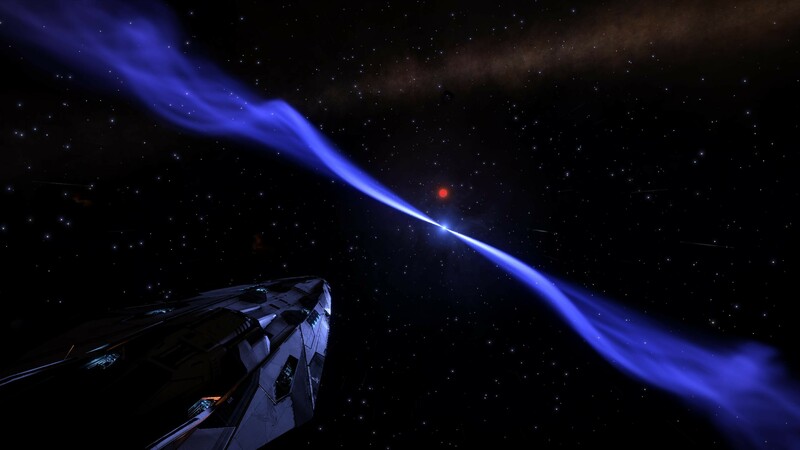 Still flying through this big Neutron star field on my way to SagA, discovering hundreds of new NS systems. I also found systems with more than one NS which was a very nice view from the cockpit. 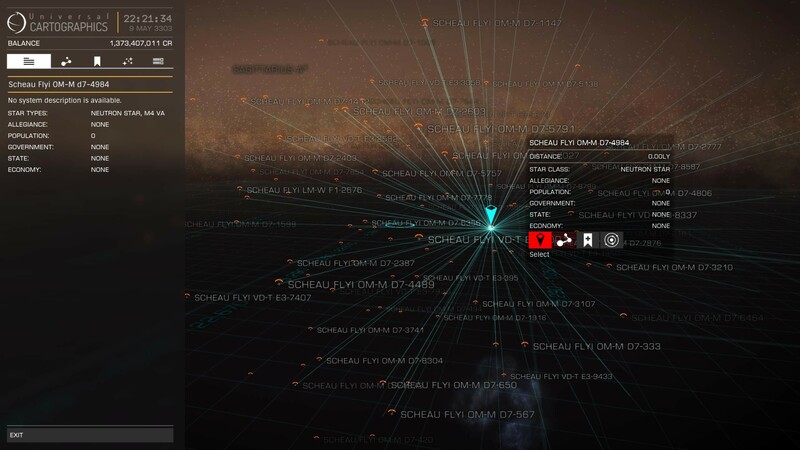 Traveling almost 37000 LY's from the bubble to Colonia, I finally reached SagA* today and stopped by "The center" visitor beacon to get my "proof". Nice to be back! Spent a few days here at the center exploring some surrounding systems, and I actually discovered a few new ones right next to SagA. I wasn't really expecting to find any undiscovered systems this close, knowing that many thousands of commanders has been in this area before me. 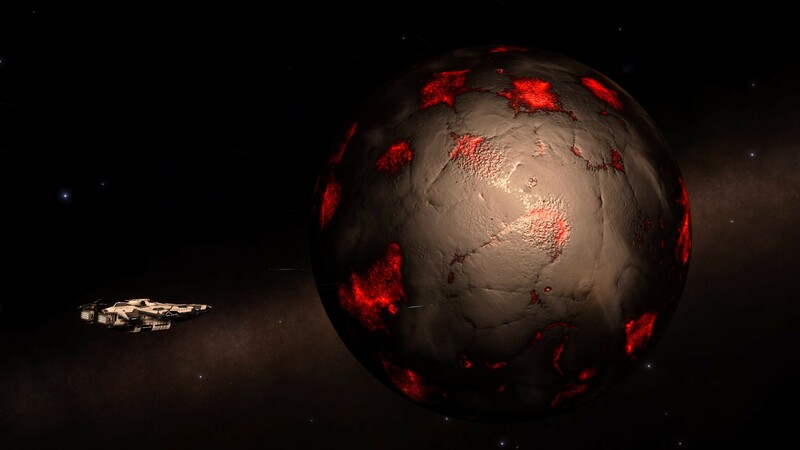 One of the systems had this tiny rocky world "potato" with some awesome mountain landscape, so I just had to land and take a closer look. 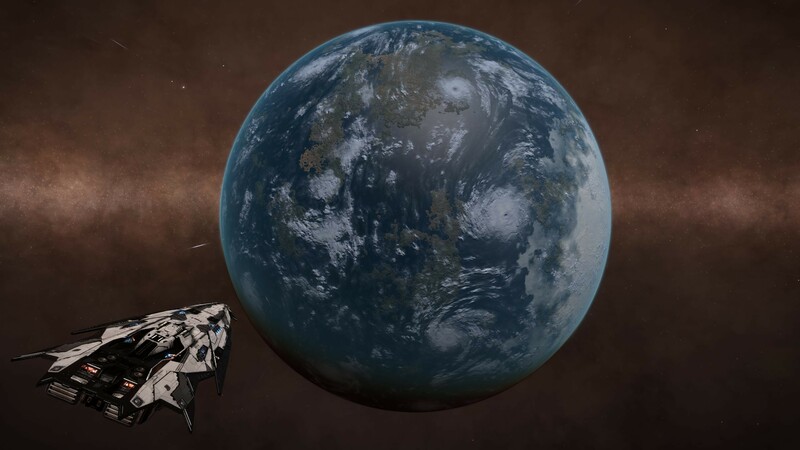 I also discovered an "Earth like world" today. Not too many of these around for sure. I actually haven't found more than two ELW's so far on this trip, but when you bump into one, it's such a great view. 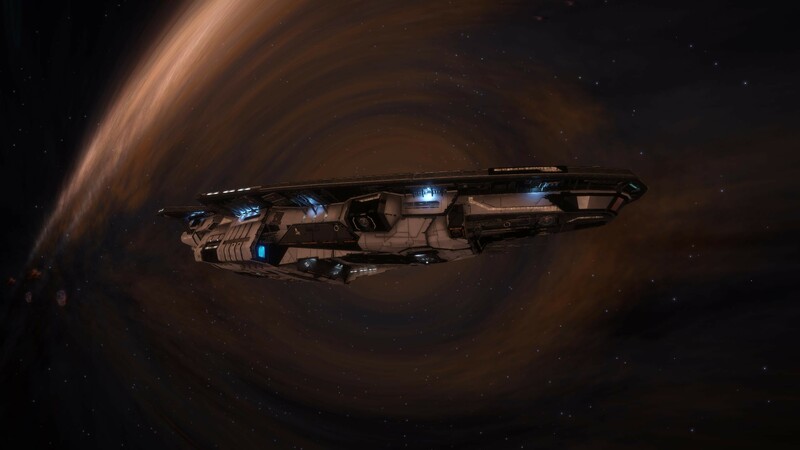 After a few days in the core, I am now on my way back home. 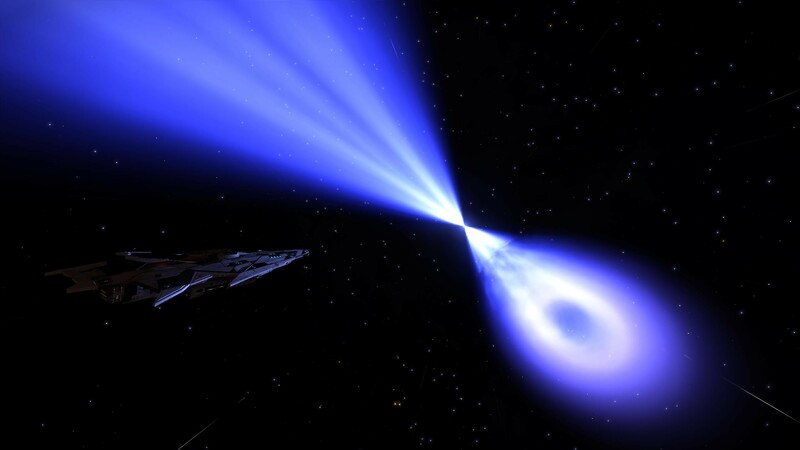 Heading back down "below", discovering a lot of black holes. So if you want to find thousands of undiscovered BH's and NS's, go deep! At least to -1000LY's on the grid. FSD-boosting from NS to NS got me almost 7000LYs closer to home today, so this is the way to travel if you want to move fast. And some of the views are just fantastic! 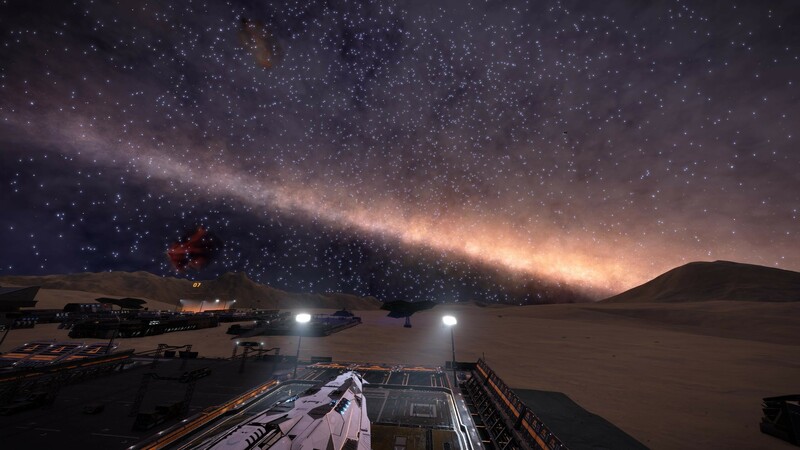 Traveling another 4274LY's I have arrived at Eagle's Landing refuel outpost and will spend the night here. This is a surface station in the Eagle nebula. Nice to see some civilization again. 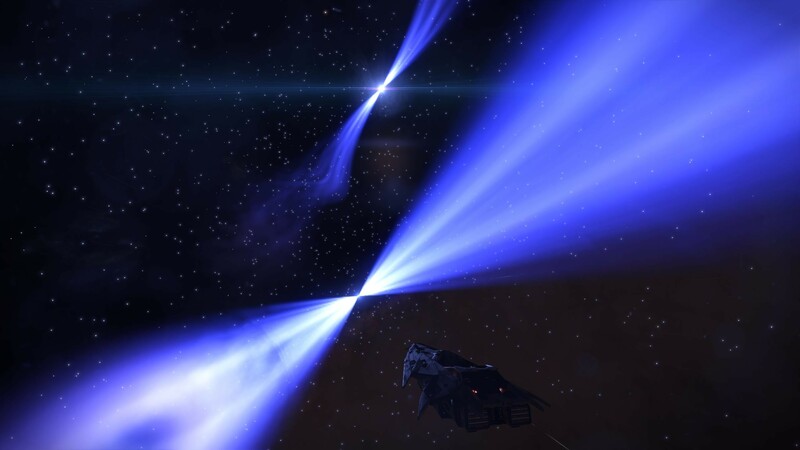 Not many neutron stars to FSD-boost from anymore and it's been several days now since I discovered my last NS or Black hole. No doubt that I am almost back home in the "bubble" again. 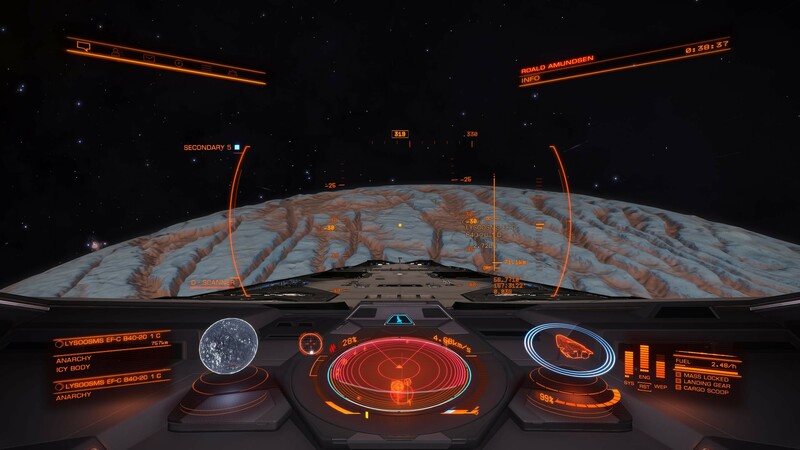 Immediately after exiting my last jump into Shinrarta Dezhra and heading for my home station Jameson Memorial, I was interdicted by not only one, but TWO hostile PVP Anacondas. They managed to drag me out of supercruise pretty fast and started to attack me with full power at once with some nasty weapons (those bastards)! After just a few seconds my shield was gone and I knew quickly that I would be pulverized very soon if I didn't do anything drastically very fast. So in my panic, the only thing I could think of to save my ship and all my exploration data was to log off the game. So that's what I did (yes, I know that this isn't the most proper way to play this game, but I would assume that many of you would have done the same in my situation!) But since I was still being attacked, I had to wait 15 seconds before I was logged off. It felt like hours while I could hear my cockpit break and the hull damage getting critically damaged. So I was far from sure if my precious Anaconda would survive this final jump at all. After 15 long seconds I was finally beeing logged out of the game and I almost didn't have the nerve to log back in to see if my ship had survived the brutal attack or not. But to my great relief it was still there! Barely "alive" with just 16% hull remaining and almost all modules destroyed, it had survived against all odds!! And thanks to a working AMFU, I could repare the damaged modules to get safely back to the station. A breathtaking, but happy ending to an awesome journey!! Got a few scratches after the attack!